Norwegian Airlines does not offer a co-branded credit card for the U.S. market, so you’ll want to focus on credit cards that offer cash-back or a statement credit in return for the miles that you redeem. When you are dealing with a program that doesn’t partner with any credit cards or provide an avenue for flexible point transfers (e.g. Chase or Amex), it’s important to know what your other options are. Capital One and Barclays offer credit cards that earn miles which can be redeemed as a statement credit against the cost of a Norwegian flight. Here’s a list of the best travel rewards cards, with Capital One and Barclays as the banks you want to focus on. After being approved for and meeting the minimum spend requirement on the Capital One® Venture® Rewards Credit Card and the Barclaycard Arrival® Plus World Elite Mastercard®, you’ll be on our way to having enough miles for a free flight. Norwegian Air Shuttle (better known as Norwegian Air) is a low-cost airline with a frequent flyer program called Norwegian Reward. The airline joins the ranks of Ryanair and EasyJet in focusing on high-frequency travel for flights both within and to Europe. 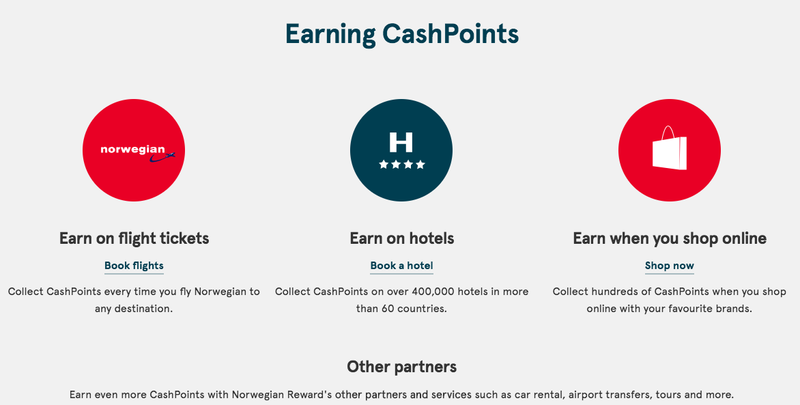 Every time you fly Norwegian, stay at a partner hotel, or drive a partner rental car, you earn CashPoints that can be used to book award flights. CashPoints can also be earned through Norwegian’s other list of non-travel partners. When the time comes to redeem your CashPoints, they can be used for a full or partial redemption for your next Norwegian flight, extra baggage, seat reservation, cancellation insurance, or booking changes. Signing up for the Norwegian Air frequent flyer program is free by filling out this online form. After you sign up, you’ll have the ability to earn and redeem miles not only for Norwegian flights, but also expenses like baggage and seat reservations. Head to the Norwegian Air Rewards login page, where you’ll enter your email/username and password to access your frequent flyer account. Norwegian Air Rewards login page. Image courtesy of Norwegian Air. Hot Tip: Award availability can be searched without signing into a Norwegian account since the program uses a revenue-based currency. When searching on the website, it’s important to note that 1 CashPoint = 1 Norwegian Krone (1 NOK = ~$0.12 USD). To see the CashPoints that you are earning, you’ll need to log in to your account. CashPoints expire every 24 months at the end of the calendar year in which the CashPoints were earned. You’ll need to use your CashPoints within that 24-month period to prevent the points from expiring. The U.S. market is starting to see more Norwegian options, which is helping drive down the price of transatlantic travel. Image courtesy of Norwegian Air. Unlike American Airlines, Delta Air Lines, and United Airlines, Norwegian doesn’t have elite status within its award program. Instead, the program rewards flyers by offering a benefit for every 6th flight you fly. The 6 segment benefit of the Norwegian Air program. 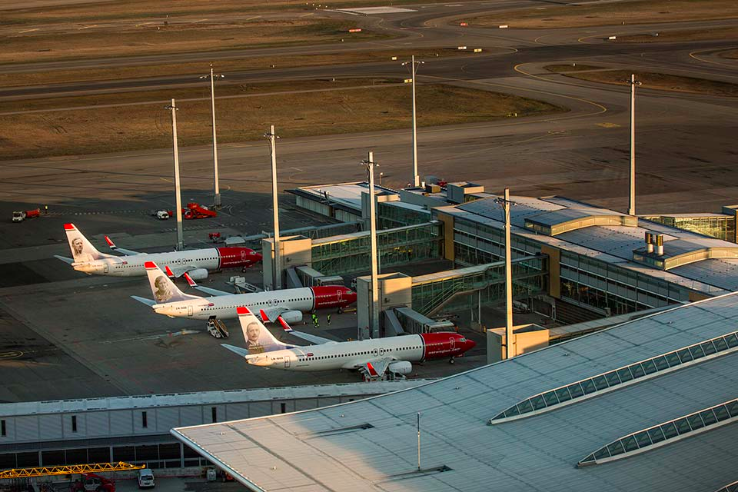 Image courtesy of Norwegian Air. The Norwegian Air benefit that you choose will last for 12 months. Image courtesy of Norwegian Air. The first benefit of 2% CashPoints kicks in after you fly 6 Norwegian segments. You have access to additional benefits the more you fly — but for the first 6 segments, Norwegian selects this benefit for you. You have several options after reaching 6 segments with Norwegian Air. Image courtesy of Norwegian Air. After your 12th segment (i.e., 2nd 6th segment reward), Norwegian lets you select from a broader slate of benefits. 2% CashPoint boost on all LowFare tickets, which can be used 5 times. If you choose this Reward every 6 segments, you will earn a 12% CashPoint boost after 48 segments. Free Fast Track on all flights. Free seat reservation on all flights. CashPoints can add up quick if you choose the 2% boost benefit. Image courtesy of Norwegian Air. If you want to dive deeper into the Norwegian Rewards program, everything you need to know can be found by checking out this page. If you fly a significant amount of Norwegian segments in 1 calendar year, you may want to consider the Limited Edition awards. For Norwegian regulars, the program offers additional benefits that it calls Limited Edition Rewards. Image courtesy of Norwegian Air. 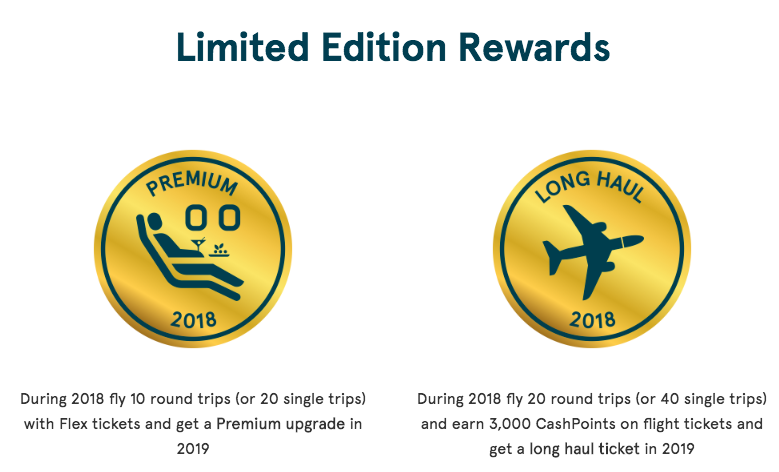 With Limited Edition Rewards, you have 2 tiers: Premium and Long Haul. By flying 10 round-trips (20 segments) on a Flex ticket, you’ll earn a Premium seat upgrade for a flight in the following calendar year. If you double that with 20 round-trips (40 segments) and earn 3,000 CashPoints, you’ll earn a long-haul ticket for a flight in the following calendar year. For those who fall into these buckets, more information about Limited Edition Rewards can be found on this page. 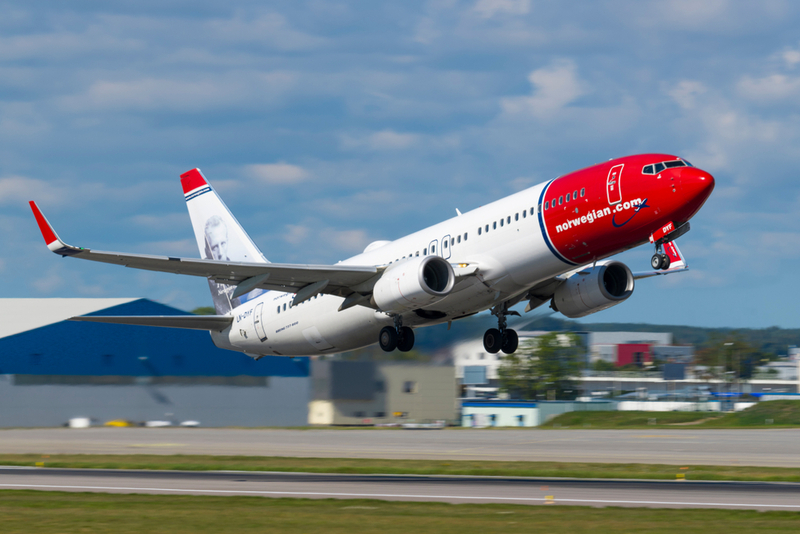 Norwegian is a low-cost carrier, so it’s important to recognize that the benefits offered will not compare to those of major airlines in the U.S., Europe, Asia, and the Middle East. The value of the 6 segment rewards really kicks in when you’re able to select either the Seat Reservation or Baggage benefit. If you’re buying LowFare domestic and/or long-haul tickets (where a seat assignment and checked bags aren’t included in the cost of your ticket), the Seat Reservation and Baggage benefit can save you some money. For example, if you’re flying an international long-haul LowFare flight, Norwegian charges $12-$31 for a seat assignment and $90 for a checked bag. 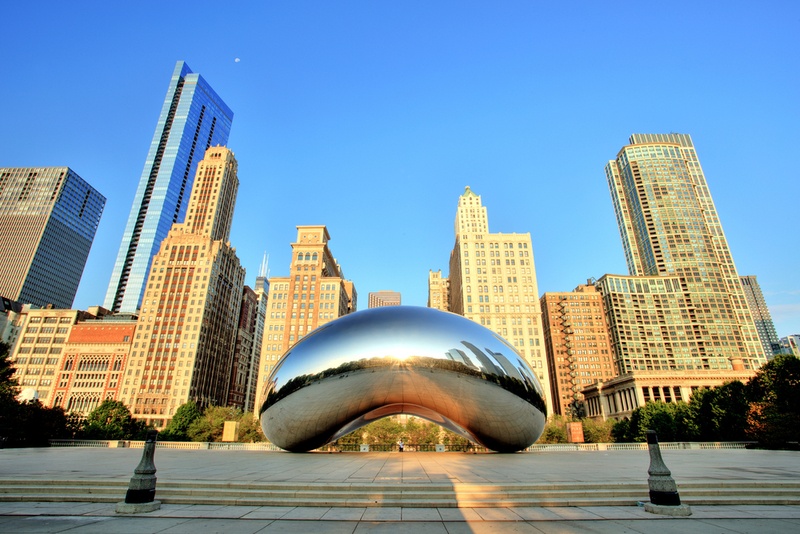 International long-haul includes flights to/from the U.S., Canada, Thailand, Argentina, and Singapore (except flights between U.S./Canada and Caribbean). Bottom Line: After you’ve flown 12 segments, you’ll earn the ability to waive either the Seat Assignment or Baggage fees, which can save you money on Norwegian Air flights. 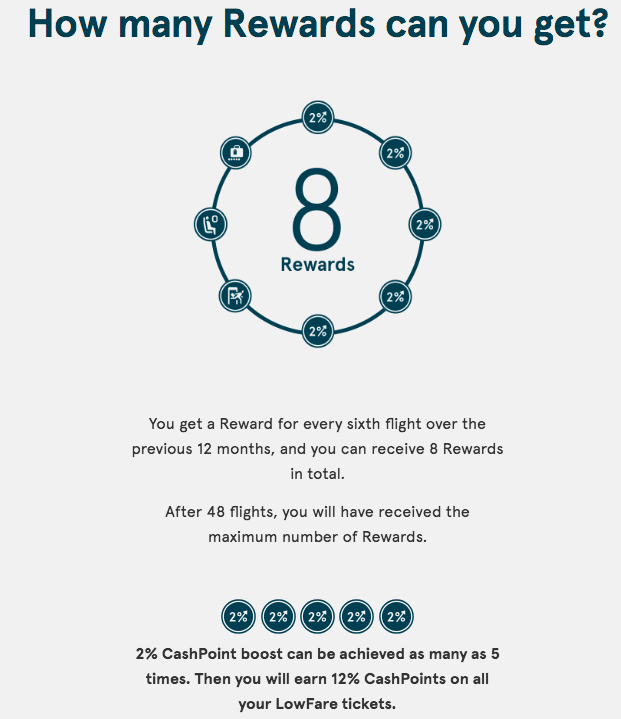 The 3 main ways to earn CashPoints are by flying, spending with travel partners, and shopping through the portal. Image courtesy of Norwegian Air. Norwegian Air is unique — instead of earning airline miles like you do with most airlines, you earn CashPoints, which are a percentage of the amount you paid for the flight. 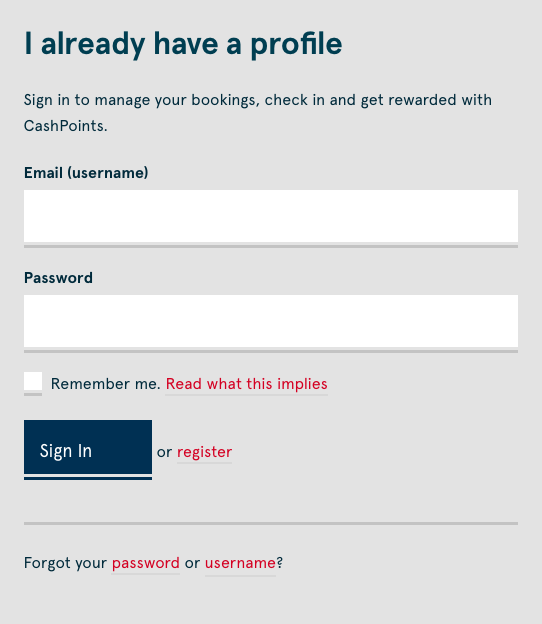 CashPoints can be earned not only by flying on Norwegian Air, but also via hotel stays and car rentals. Norwegian awards CashPoints based on the type of fare that you booked. For LowFare flights, you’ll earn 2%-5% of the revenue cost of the flight in CashPoints. With Flex tickets, you’ll earn 10% CashPoints. The Norwegian program is part of the Airlines for Europe (A4E) alliance, joining the likes of Air France-KLM and Lufthansa, but there are no reciprocal benefits (e.g., you can’t use Norwegian CashPoints to book a Lufthansa flight). Bottom Line: Norwegian doesn’t use airline miles as a currency and instead uses CashPoints, which are earned based on a percentage of the revenue cost you paid for the flight. Unlike most of the U.S. airlines, Norwegian doesn’t offer a co-branded credit card product for the U.S. market. The airline does offer a credit card by Bank of Norwegian, but you must reside in Sweden as part of the application requirements. While you can’t earn Norwegian miles directly from credit cards, you can earn them using other premium travel credit cards that earn 3X-5X in the form of transferable points. Hot Tip: Earning transferable points with travel rewards credit cards can be a great way to capitalize if you’re flying Norwegian regularly! 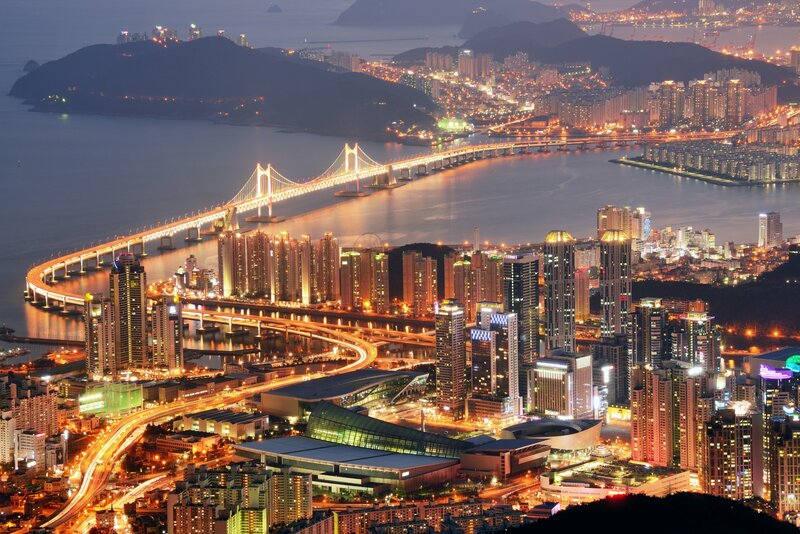 The main way to earn CashPoints is by flying Norwegian regularly either on LowFare or Flex tickets. However, the frequent flyer program offers additional ways to earn CashPoints. Using its Travel, Home and Lifestyle, and Dining and Shopping partners, you’ll have no shortage of options to earn CashPoints. Complimenting your earnings from flying by spending with Norwegian’s partners can help ensure you always have plenty of CashPoints on hand for an award flight. 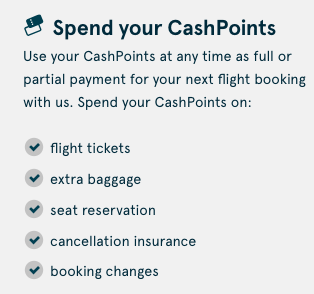 Norwegian Air gives you 5 options when the time comes to redeem your CashPoints. 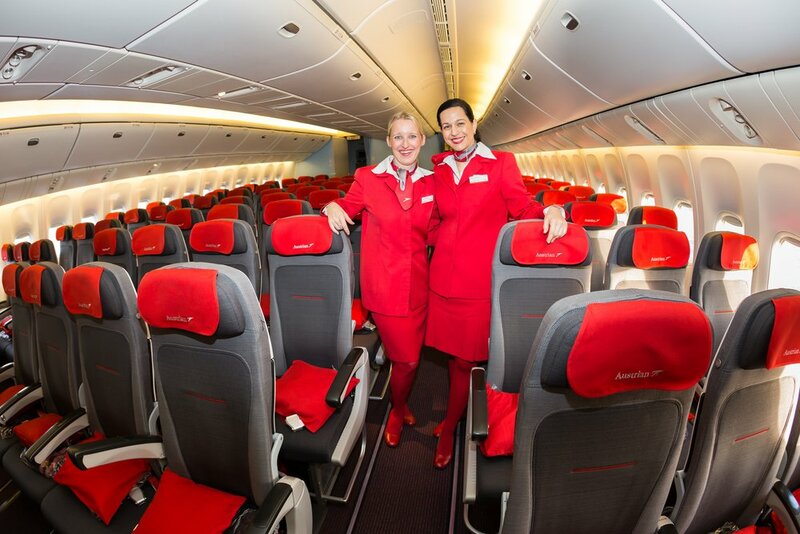 Image courtesy of Norwegian Air. CashPoints in the Norwegian program are equivalent to cash: you can redeem them for Norwegian flights with no blackout dates and no minimum amount required to use for a redemption. One of the many unique aspects about Norwegian Rewards is that you can use your CashPoints on an array of items including flight tickets (taxes and fees are eligible), extra baggage, seat reservation, cancellation insurance, and booking changes. Norwegian doesn’t offer business class, but they do sell premium economy tickets on 787 Dreamliner international long-haul flights to/from the U.S., Thailand, Argentina, Singapore, and Caribbean (excluding flights between the U.S. and Caribbean). Bottom Line: Norwegian is a budget airline offering points that can be great to use on its international long-haul premium economy flights. Norwegian is part of the Airlines for Europe (A4E) alliance, but that partnership won’t help you much. This is because Norwegian and the partners in A4E don’t provide reciprocal benefits like you’ll see with the Oneworld, SkyTeam, and Star Alliance. Therefore, if you need benefits across an alliance, you’ll want to look outside of the Norwegian Rewards program. Norwegian flights will not show up on online travel agency portals like ThankYou Rewards, Ultimate Rewards, and Membership Rewards, because the airline doesn’t participate in the systems that load its flights on to a travel portal. With that said, you can still redeem CashPoints online by logging into your Norwegian account. It’s important to note that you’ll only see Norwegian flights when you use the airline’s search engine. Hot Tip: CashPoints is a revenue-based airline currency that has a fixed value (unlike flexible program points where you can receive varying levels of value). 1 CashPoint = 1 Norwegian Krone = ~$0.12 USD. What is the Norwegian Air Rewards Program? Is it worth it? What are the benefits? Norwegian Air Rewards is the free frequent flyer program of Norway-based Norwegian Air. The program allows you to earn CashPoints that can be redeemed for a number of items including an award flight. The benefits that you earn with the program are based on the number of segments that you fly. For every 6 segments, you earn a new benefit. 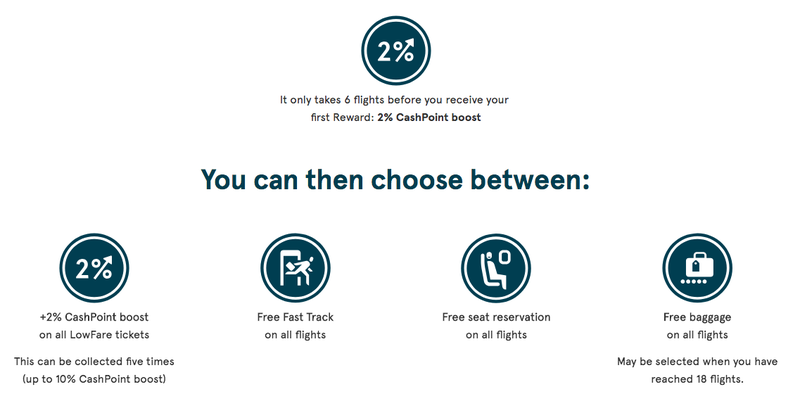 For example, after your first 6 segments, you earn 2% CashPoints based on the revenue cost of the flight. Norwegian doesn’t offer elite status and instead focuses its program towards the budget flier. In Norwegian Rewards, who are the partners? Can I transfer miles to them? The airline doesn’t have any airline partners but is part of an alliance called Airlines for Europe (A4E). With that said, you won’t be able to use your CashPoints on any flight except for Norwegian Air. What is the Norwegian Air Rewards login? You can access your Norwegian account by signing in here. Where can I sign up for Norwegian Rewards? Signing up for the Norwegian Air program is free by filling out this online application. What is my Norwegian Rewards number? You can find your Norwegian Rewards number by signing in to your account, on your membership card, or through a variety of marketing emails they send to you. If you can’t find it there, try using the “forgot my password” tool to reset your account so you can get in. Alternatively, try calling the customer service desk to find your number. 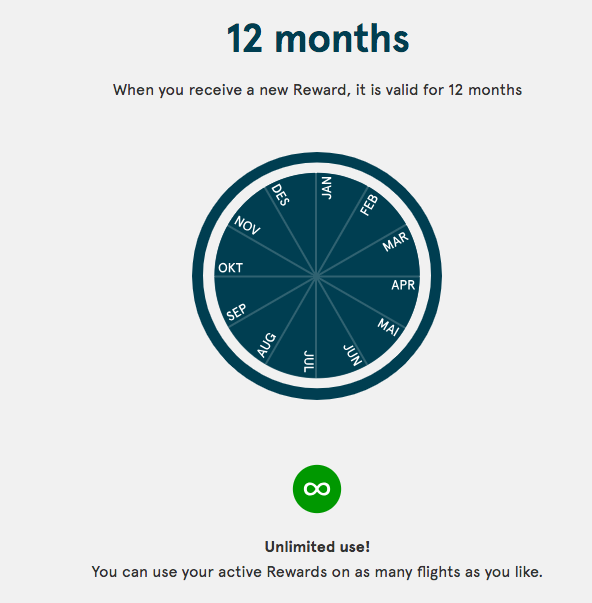 When do miles post in Norwegian Rewards? You can review the activity in your Norwegian account using the following steps: Login to your account > click My Account at the top > scroll down to CashPoints History on the left. It normally takes 14 working days after the transaction data has been received by Norwegian for CashPoints to become available for use by the Member. When do Norwegian Rewards CashPoints expire? ​Your CashPoints are valid until the end of the second year after you made your purchase. For example, CashPoints for a flight purchased/paid for on July 1, 2018 are valid until December 31, 2020. 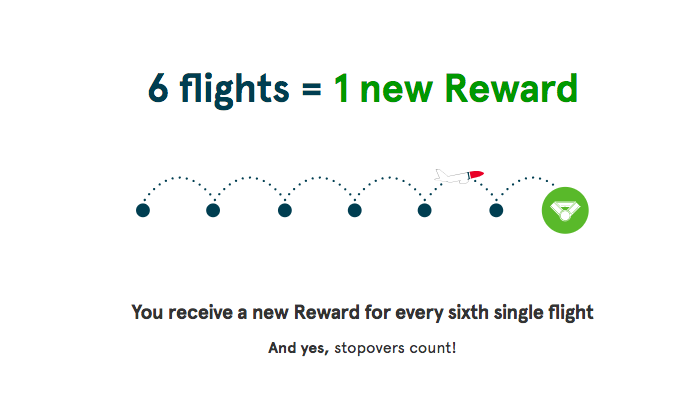 When do the Norwegian Rewards benefits expire? Reward benefits expire 12 months after the month in which a Member no longer has enough qualifying flights for the Reward to remain available to him or her. Is there an Norwegian Air credit card? Unfortunately, the answer is no for the U.S. market. In Norwegian Rewards, what is a segment? A segment is the take off and landing of one flight. For example, if you fly from Washington (DCA) to Dallas (DFW) to Miami (MIA), that’s a total of 2 segments.